"The choices in If Monks Had Macs ... were prophetic: its metaphors of pre-print MS, early print, and marginal publishing not only introduced a new medium, but also set the intellectual and cultural paradoxes within which the e-book still operates..."
Hear Harris Fogel of Mac Edition Radio interview me about the history of Monks. Thanks to Dropbox for hosting the free Monks CD-ROM. Get your own FREE 2 gigabyte magic pocket for keeping and sharing your stuff from the link below and it will help keep files available. Click here to get your own free Dropbox. 21 years after it began, If Monks had Macs is ending, as all good media creations must, with a remake. To celebrate the release of the If Monks had Macs CD-ROM as freeware, we’ve remade our finest game, Killing Time. Killing Time is beautifully illustrated, quick and deep. Killing Time requires a display 1280 x 800 or bigger. 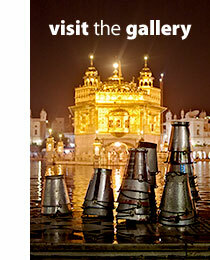 "Legendary … almost defies description" was MacUser magazine's description of the original 1988 If Monks. 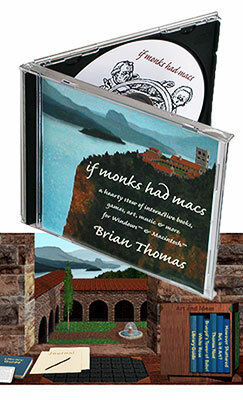 MacWeek called the CD-ROM version of Monks, “a seminal work of multimedia art." NEXT page: why If Monks had Macs?